In it’s 11th edition, “Trekking Urbano” is a national day when several towns across all of Italy organize guided walking visits of their town to explore their town, including known and off-the-beaten-path areas of town. Siena in Tuscany was one of the first cities in Italy to adopt this initiative, and has developed several itineraries every year to explore the beautiful medieval town, each with a slightly different theme. This fall, the Urban Trekking National Day falls on Friday, October 31st. In Tuscany, three towns are participating: Manciano, Pistoia and Siena. This edition’s theme is a day of remembrance of the history and impact of the Great War (as World War 1 is remembered) on these towns, 100 years since it first began. Each of the towns was touched in a different way and thus each itinerary is quite unique. 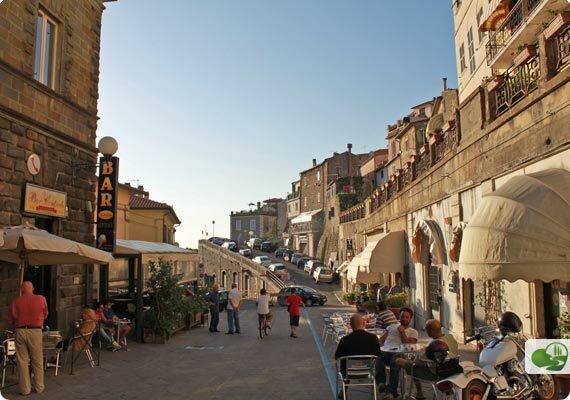 In Manciano, you’ll get to explore the hilltop town and get to know some of its history. It was the first town in Tuscany in 1944 to be liberated by the Allied forces, and on February 25, 1945 held the first free elections in all of Italy since the end of the Fascist regime. The itinerary should take about 3 hours and is about 3km long; it is considered within everyone’s reach. The visit starts at 4:30pm. You can download the planned itinerary here. 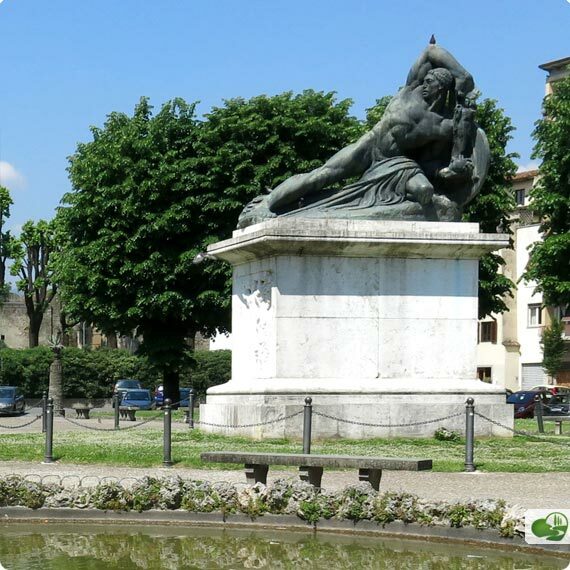 In Pistoia, the itinerary will focus around the old railroad station and tracks, where hundreds of soldiers passed by every day as they were taken to the war front. The city was particularly transformed in between the two world wars, so the walk will also highlight this side of the city’s history. The walk is about 4km long, but the visit should last just about 1.5 hours and starts at 11am. Booking is required if you’re planning on joining in, but it is completely free. You can download more details here. In Siena, the period between the two wars also heavily influenced daily life. Buildings still carry the signs of bullets fired in the city and will be shown throughout the walk. In particular, the “Rooms of Memory” within the Casermetta and the “Room of Memories” at the Asilo Monument will be extraordinarily open for the day. The first will be open to the public outside of the guided walks from 10am to 12pm and from 3 to 5pm. You should call 0577-271510 between 10am and 12pm from the 27th of October to reserve a guided visit (address of the “Casermetta” is Via Malavolti, 9). 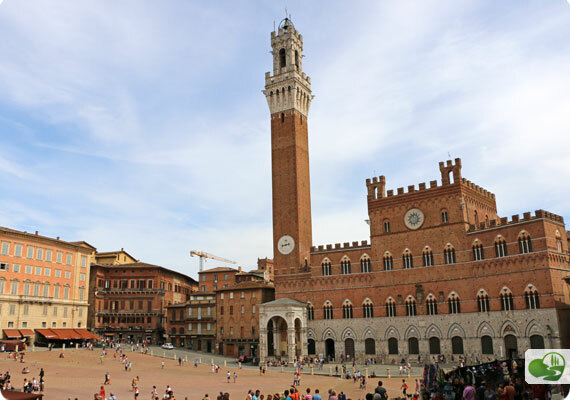 There will be several guided walks of Siena, including of the Rooms, in the afternoon departing from Piazza del Campo at 5:15, 5:30, 5:45 and 6pm. The first one, at 5:15pm, will also be in English while the 6pm visit will also have a sign-language interpreter accompany the group. The visit should take 2.5 hr and is around 3km long. You can download the brochure here. Additional guided walking tours will be extended through the weekend on November 1st and 2nd – some require booking and a modest fee for participation. The children and the past, told by the elders. “Seen from above,” a photo-trekking around Siena. Discovering the Monumental Cemetery of Mercy. “Siena in the twilight”, a photo-trekking to see Siena in a magic moment. Nordic Walking, sport and fun to discover the places of the war. #sienafrancigena, in the footsteps of the pilgrims to the discover the oldest hospital in Europe. “Light and backlighting”, a whole new photo- trekking. Women and war, the trekking of the female memory. “Shapes and colors: how to compose a scene”, a photo- trekking. For more details, you can download the full schedule here: http://www.comune.siena.it/Il-Turista/Trekking-urbano/Un-weekend-di-eventi and email turismo@comune.siena.it to book your spot. Since Siena and other towns in Tuscany have participated in past editions, each year with a different theme, you can also find these itineraries with maps online. All of them are considered easy and thus at the reach of everyone of all ages. Unfortunately, all of the material is in Italian but if you’re adventurous, you can still follow the maps! Enjoy exploring these Tuscan towns following these interesting, off-the-beaten-path itineraries!